« Crooked Road Ramblers – Blue Ridge Backroads Live! Mt. 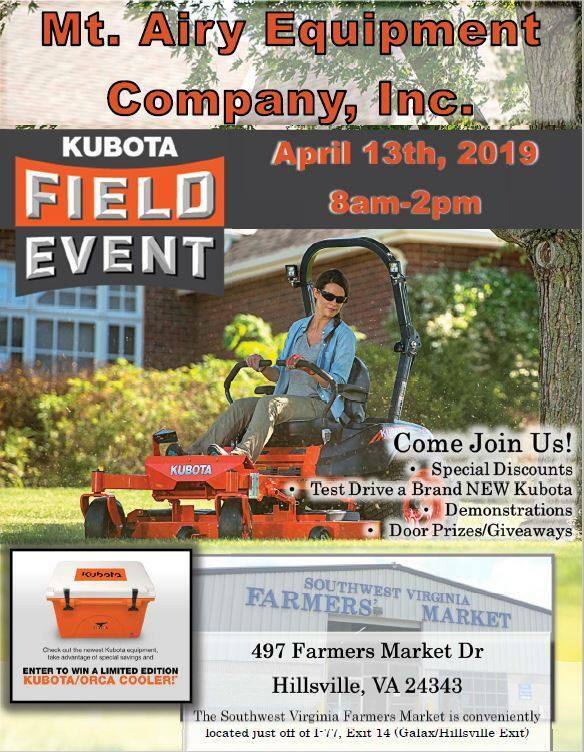 Airy Equipment Company, Inc. is hosting a Kubota Field Day Event at the Southwest Virginia Farmers Market. Come out and join us for demonstrations, test drive a NEW Kubota, special discounts and giveaways! Plus enter to win a Limited Edition Kubota Cooler! The equipment will be located behind the commercial buildings at the wholesale market.